The end of the BBM pin? RIM has announced the new BlackBerry Tag service, utilising the NFC capabilities of its recent smartphones. 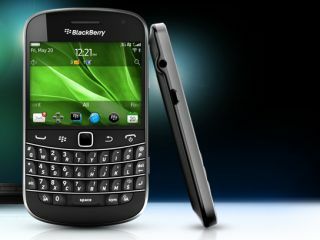 TechRadar exclusively revealed that RIM was working on enabling NFC BBM contact sharing at the launch of the BlackBerry Curve 9360, and now RIM has added that functionality in, with a host of extra applications too. The BlackBerry Tag service will also allow users to share contact information, files, photos and other multimedia content by opening up the NFC gateway on the phone and tapping the phones together to initiate the transfer. RIM has also promised to open up the BlackBerry Tag API to app developers too, so new applications can take advantage of the NFC functionality to create new ways of interacting with other phones. Currently RIM has only got two phones in the UK market that can take advantage of the BlackBerry Tag service, the BlackBerry Bold 9900 and Curve 9360, but we expect nearly all future models to be enabled with the service. Nokia has also been heavily backing the contactless technology, offering a similar service with its latest batch of Belle-enabled phones, with multimedia sharing a big part of the announcement of its new handsets. RIM will offer the new BlackBerry Tag service when it brings a new BB OS 7 update, which it has declined to give a release date for at the moment - we're hassling to see when this will be.